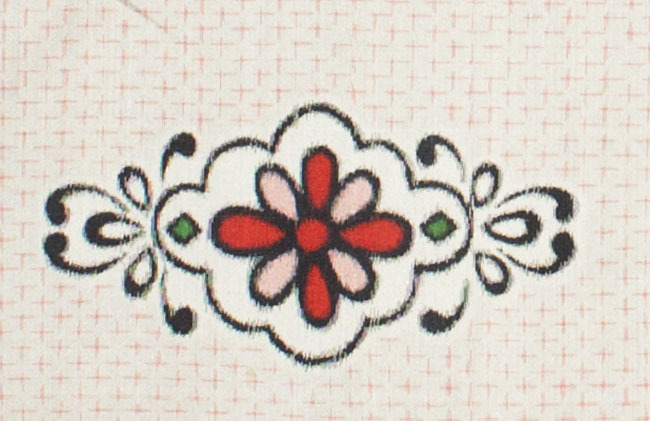 Kimoyes item: 19298 - Lengths of cream vintage meisen silk with tiny woven red design and larger motifs. Lengths of cream vintage meisen silk with tiny woven red design and larger motifs. Fully reversible ikat.